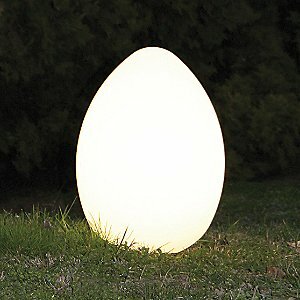 Trendy things that glow in the dark – from outdoor lamps by contemporary Twist Lighting to watches by Alessi, even candles from Philips! “Lite-Brite, Lite-Brite, turn on the magic of colored lights!” Ring any bells? 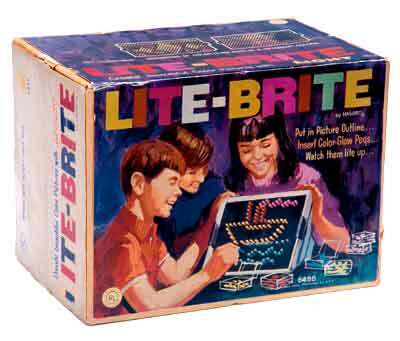 As a product of the ’80s, I grew up with toys like Lite-Brite and Glow Worm, quickly discovering and plastering my ceiling with thousands of glow-in-the-dark stars (my parents were not too fond of that, especially when it came to re-painting my old room). And did anyone else write secret messages or drawings on the wall with detergent? 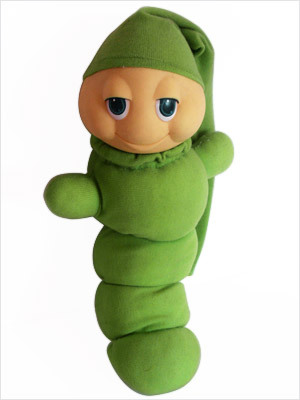 Okay, I’ve grown up since those days (at least a little), and I realize I’m too old to keep Mr. Glow Worm hanging around, but I’m still fascinated by the magic of glow-in-the-dark things. 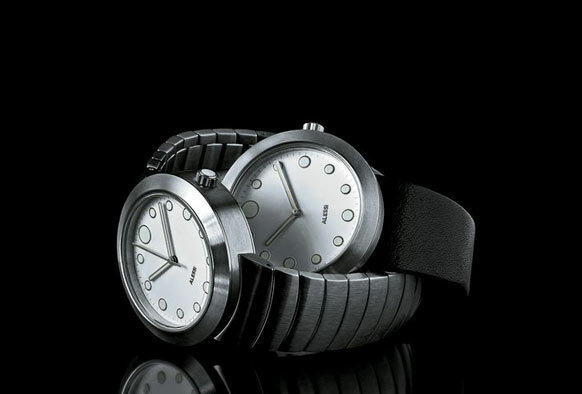 And while ALL lights can be considered “glow in the dark”… duh… here’s some of my favorite lights (and one watch) that just seem more… glowy than others! 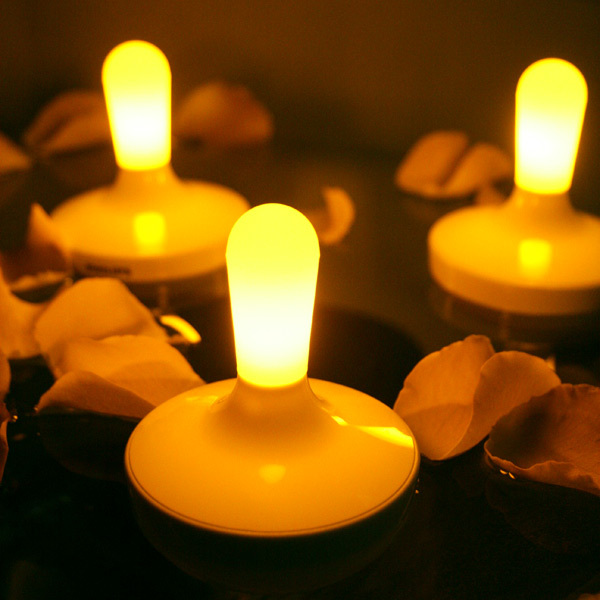 These floating candles work off a rechargeable battery, but I still think of them as being glow in the dark. Float them in the pool or use in a sudsy bathtub. 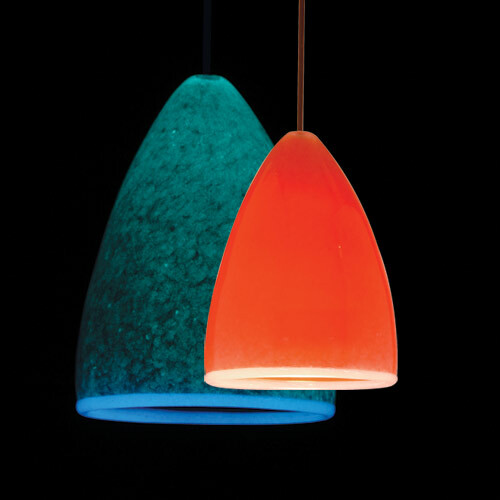 Definitely one for the modern home, the Mojo Mini Pendant by WAC Lighting only needs a few moments of light exposure to glow for hours. Its bright amber shade turns a glowing green with a blue rim. That’s good mojo right there. This next couple of glowing guys are sort of mock glow in the dark entries, since they actually plug into something. 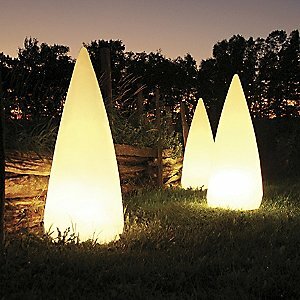 But from far away they certainly appear to glow on their own! Finally, one that’s not really a light, but actually glows in the dark! Keep your eyes open for more glow in the dark items hitting the cyber shelves and let us know what your favorites are!